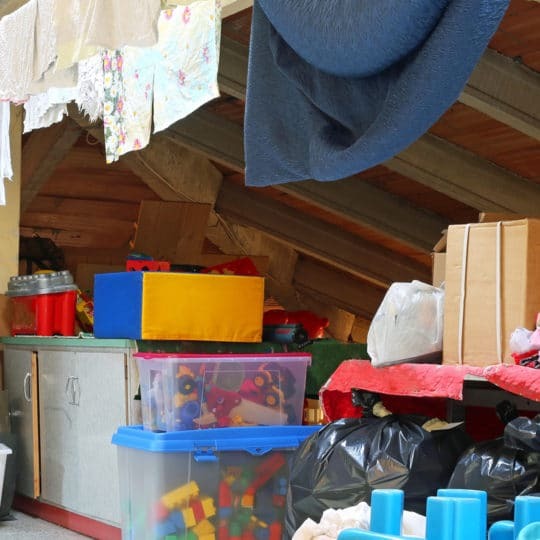 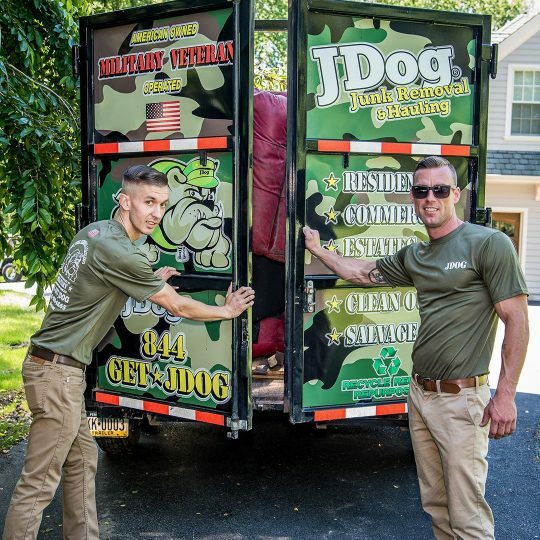 JDog Junk Removal and Hauling is your local junk removal team made up of Veterans, Veteran and Military family members located right in Kutztown, Pennsylvania. 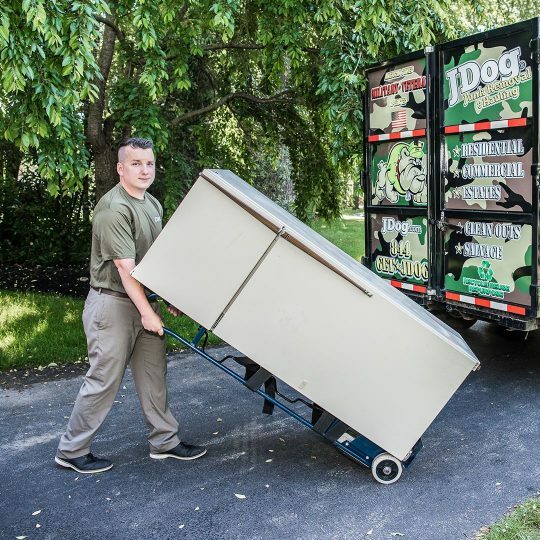 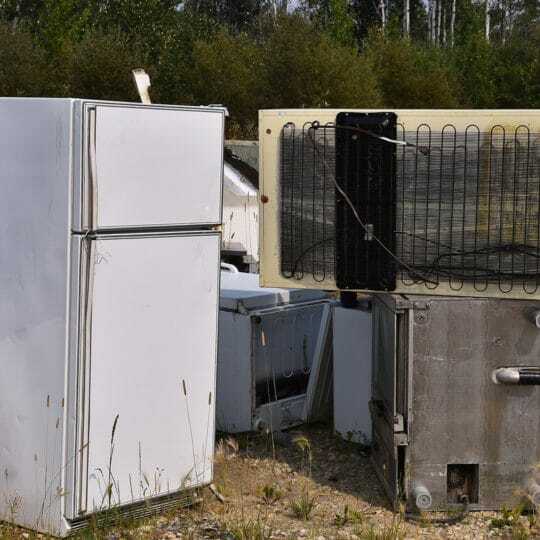 Priding ourselves in keeping 60-80% of what we haul out of landfills, we recycle and donate what we can so you can feel good about where your unwanted items are going. 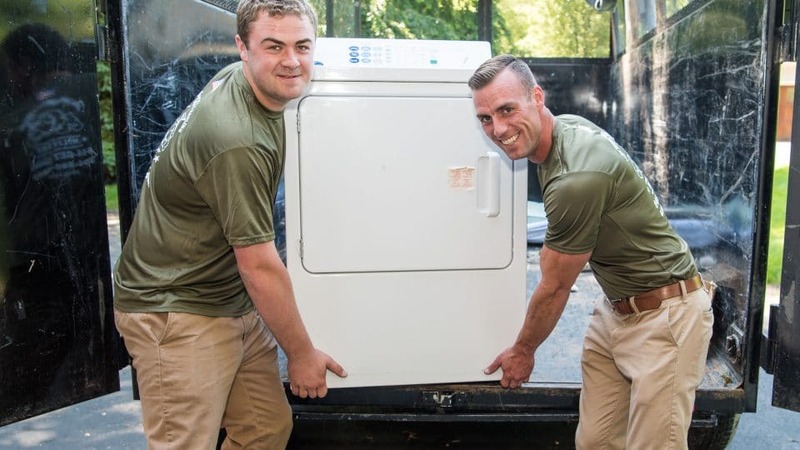 No matter the size of the project, we serve you with the same values we learned in the Military: Respect, Integrity, and Trust. 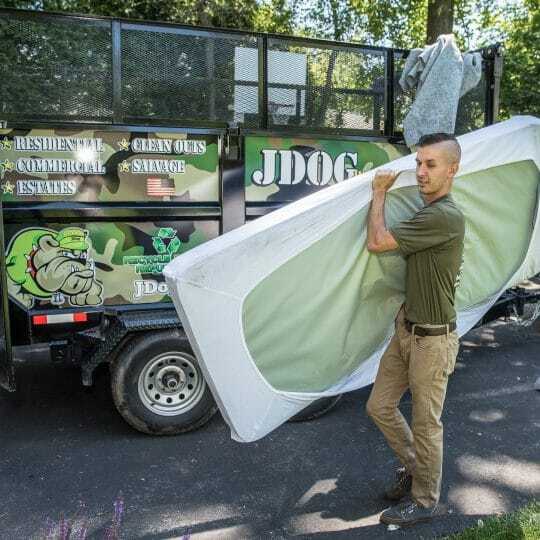 We’re there for your big and small projects, like when you are replacing that old couch, preparing for a move, or renovating classrooms. 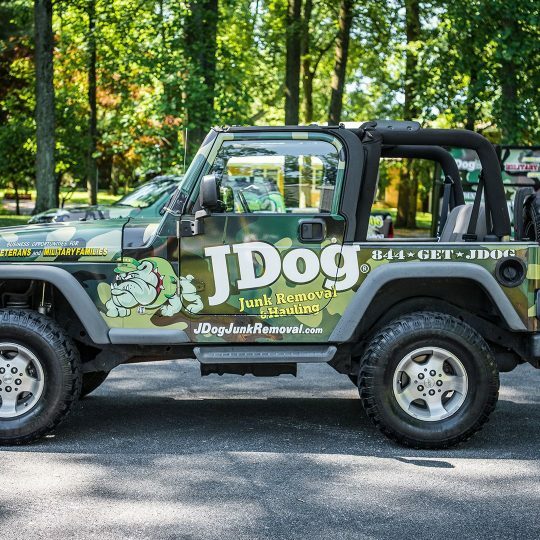 When you’re ready to get your junk out, call us at 844-GET-JDOG.